As the skies in Singapore have been clear (haze free) and the sun is shining beautifull through the clouds, I've managed to take some nice photos of an Autumn colour theme necklace featuring Agate beads in different shapes and colours. The colours selected are inspired by the colours on the polymer clay smooth coins. A pave encrusted side focal connecter adds a little glitz and glamour. 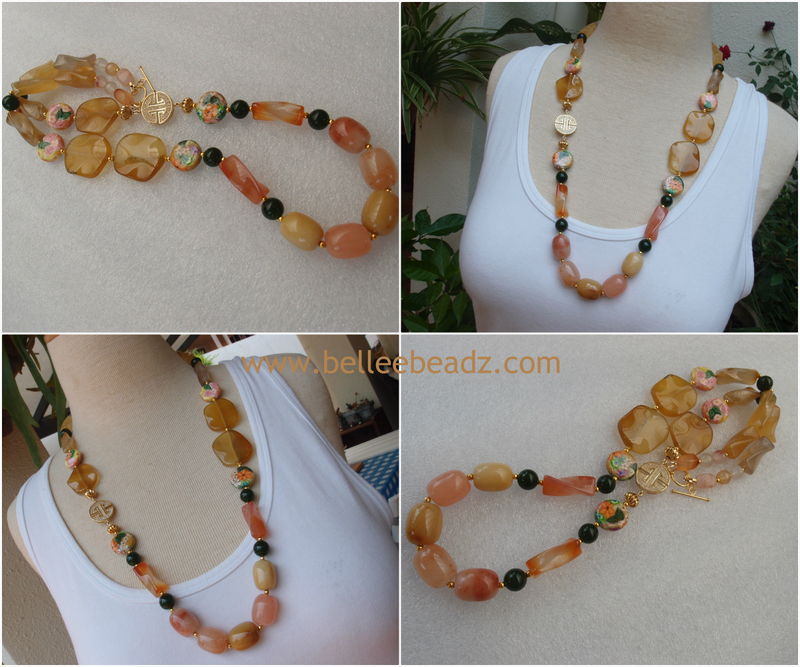 Necklace measures 28" /71 cm from end to end.